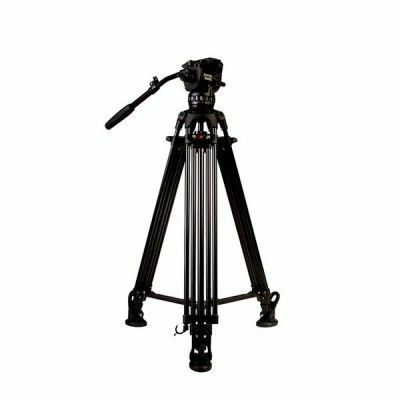 E-Image are a leading manufacturer of tripods worldwide and their expertise has created a range of tripods that have exceptionally high reliability and build quality. 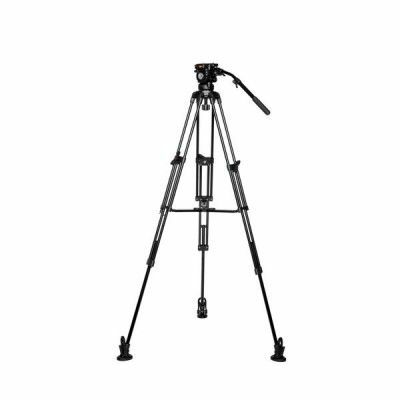 The professional GH series offer tripods from 3kg payload up to 25kgs. 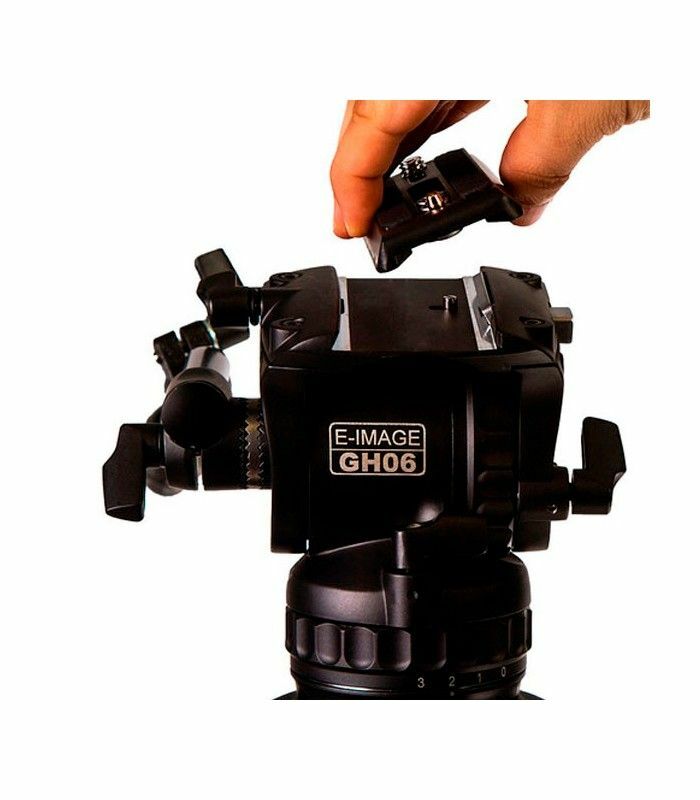 The GH06 head features a counterbalance spring with grades of 0-5 and a stepped fluid system with grades of drag of 0-3 in pan and tilt directions for fine control. 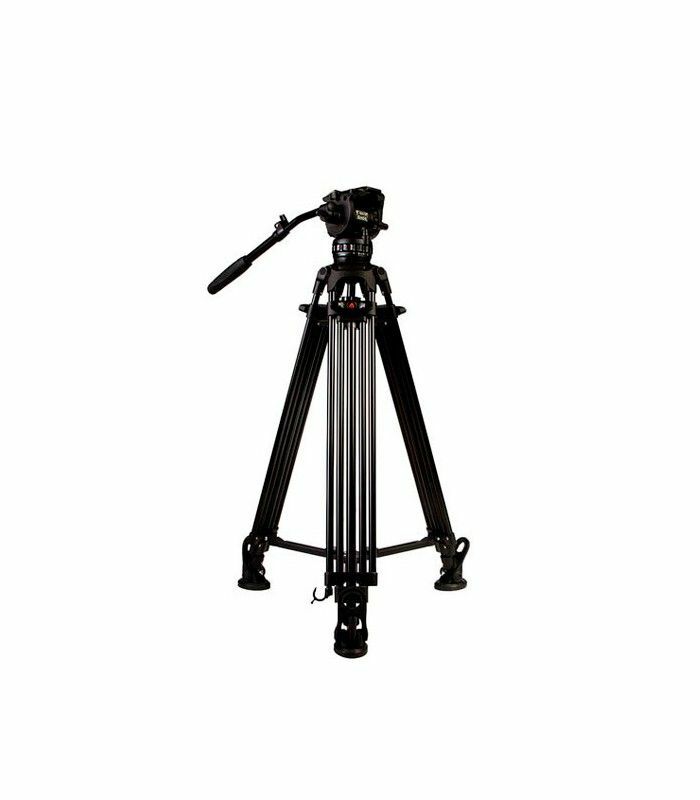 The side of the head features a ¼ and 3/8 thread for mounting an articulating arm and comes with a spare screw for the tripod plate. 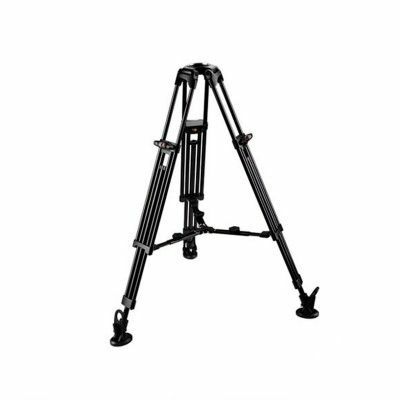 The Aluminium 2 stage legs extend quickly and easily with the speed locking system and the tripod is supplied as standard with adjustable mid-level spreader. 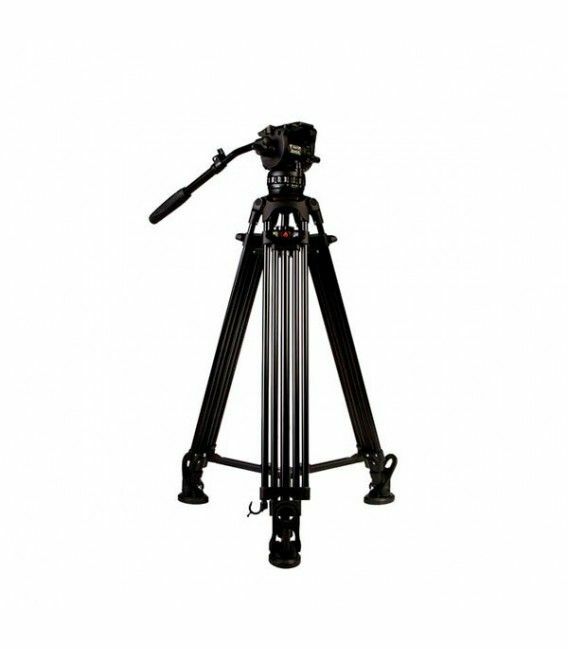 The EG06A2 system will support a payload of 6KG so making it a very versatile Tripod kit covering a wide variety or Cameras and Camcorders. 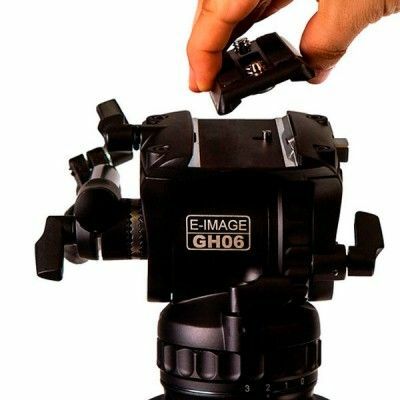 The kit includes a soft carry case.